MyHosting: What Coupons Are Available for Apr 2019? From its base in Toronto, MyHosting provides businesses with a variety of hosting plans and services. The website is absolutely packed with technical information, so if you like to know every little detail, it could be the right choice for you. MyHosting rents space in data centres across North America, and its support documentation is very comprehensive too. Business web hosting is a highly competitive sector in the hosting market, and almost every company has some kind of hosting plan aimed at professional users. MyHosting is just one. It pays to do your research and choose the right plan for your company, and that’s where we can help. WhoIsHostingThis has joined forces with genuine MyHosting users to give you a rounded, balanced view of its service quality. Before you embark on the complex process of transferring your site to a new host, check out our independent reviews to make sure you’ve chosen wisely. Get money off hosting with this MyHosting promo code. Don’t sign up for MyHosting until you’ve checked out our exclusive MyHosting promo code. We can offer you a generous discount on your plan. Ready to order? Just copy the code and follow the simple steps below to redeem it. Don’t forget to paste in the code before you pay. What forms of payment does myhosting.com accept? They accept major credit cards (Visa, Mastercard and American Express), plus Paypal, personal checks and international money orders. How many customers currently rely on myhosting.com? myhosting.com has more than 50,000 customers spanning nearly 200 countries. Can you register domains through the myhosting.com service? Yes. In addition to the free domain you receive when signing up for an account, you can use the service to search for and register additional domain names. Is it possible to transfer an existing domain and/or website to a new myhosting.com account? Yes. You can contact your registrar to have the name servers pointed to myhosting.com. The company also provides assistance in transferring website files without experiencing any downtime. What is the history of myhosting.com? The company got its start in Toronto, Canada in January 1997. Since day one, it has been providing customers with the best hosting plans, customer service, and technology. What types of technology partnerships does myhosting.com have? myhosting.com currently utilizes technology from companies including: Intel Corporation, Microsoft Corporation, Verizon, Network Solutions, Tucows Inc., Cicso Systems Inc., and VSNL International among others. Does myhosting.com offer more than one type of web hosting plan? Its shared web hosting plans are among the most popular, and there are three packages to choose from: personal website, business hosting, and eCommerce hosting. Each one comes with a variety of features, such as: free domain name, unlimited domain hosting, unlimited file transfer, unlimited hosting space, free outlook email, and $25 in Yahoo/Bing Network advertising. Why does myhosting.com advertise its business hosting as its most popular? In addition to a competitive price, it includes all the features of the personal website plan, along with: Windows and Linux web sites, more Exchange email accounts, and a dedicated IP. Does myhosting.com offer virtual private server hosting? Yes. The company provides two virtual private server hosting packages: Linux VPS and Windows VPS. These servers come with a variety of benefits: highly scalable, root access, fast and efficient setup, ability to install any application, ability to change any file, and the option to reboot and shutdown on demand. What type of customer service does myhosting.com provide to its customers? Users and potential customers can contact myhosting.com 24 hours a day, seven days a week via email, live chat, and phone. Along with this, other customer service features include: 100 percent uptime guarantee, server monitoring, regular backups, and optional access to premium support. What is the custom VPS option? 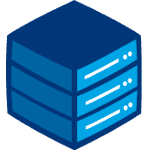 myhosting.com allows you to build a custom VPS to meet your every need. You can choose the operating system, data center location, type of control panel, and server specs among other details. Does myhosting.com provide email hosting services? Yes. There are three distinct plans: basic email, mobile email + Outlook, and mobile email. Does myhosting.com offer any add-ons to its existing hosting plans? Yes. These include but are not limited to: spam filtering and anti-virus; Linux, Apache, MySQL & PHP; Microsoft Expression Studio 4 Web, and goMobi among others.